Background - Born and raised in Venezuela, steeped in the ancient traditions of the East, living in the US, and traveling the world, sharing her powerful message, modern-day troubadour Dhanya is the female voice of the global, conscious music scene we’ve been waiting for. Fine China - Not Thrilled. 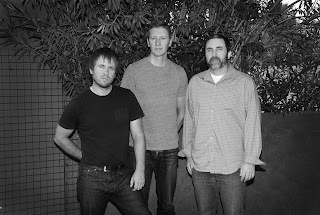 Background - Fine China was formed in Phoenix in 1997. Soon after, they released their rst 2 EP's and a 7" on So Cal indie label Velvet Blue Music. 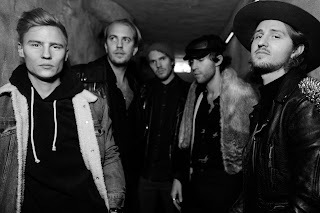 The band went on to tour extensively and to release 3 additional full length records on various labels until 2005. The most recent release, The Jaws of Life, received wide critical nods, and TV show placements. In December of 2016 Jaws was re-issued on 12" vinyl with a newly recorded bonus track (to coincide with a 10 year reunion show). 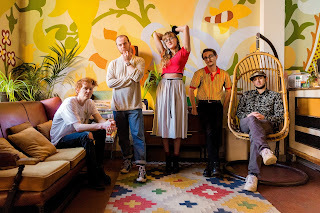 Fine China has always been a guitar-driven, pop band at heart, and the new track did not disappoint. It was met with lots of applause and the vinyl quickly sold out. The Golden Age of TV - Beast. Background - Leeds’ art-rock 5-piece The Golden Age of TV make their first move of 2018, unveiling the smart and addictive Beast, a rhythmic stomper, destined for the luminous dancefloors of indie-discos of the future. "It’s telling a story from my childhood, during that cross-over period when I had to be more independent. It was little things; facing my fear of the dark or going to the toilet on my own without my mum standing outside the door. The change and stress manifested into dreaming and imagining a monster coming after me. I'd see it everywhere I went. It sounds a bit trippy. But I guess growing up is?" 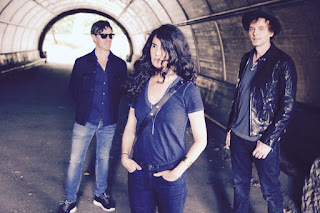 Background - Frode Unneland, Lauren Savoy and Pål Waaktaar-Savoy (the main songwriter and guitarist in A-ha) debuted as Savoy in 1996 with the album ‘Mary Is Coming’, and followed it with ‘Lackluster Me’ (1997), ‘Mountains Of Time’ (1999), ‘Reasons To Stay Indoors’ (2001), ’Savoy’ (2004), plus the 2007 compilation album ’Savoy Songbook Vol 1’. They have won two Norwegian Grammy Awards along the way, while their best known song, ‘Velvet’, was covered by A-ha on their 2000 album ‘Minor Earth, Major Sky’. The group are finally preparing to release their long-awaited sixth studio album, their first in 13 years.’See The Beauty In Your Drab Hometown’ has been described by Pål as “one of the least demanding albums to make as the songs found their shape much faster than before.” Some of the recording sessions took place in Clubhouse Studios in Rhinebeck, New York (close to Woodstock), where the drums and various overdubs were laid down. Duran Duran - Girls on Film - feat. Andy Wickett (Demo Version). 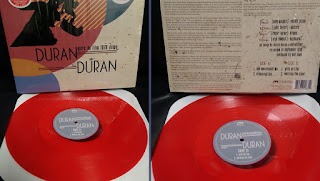 Background - Cleopatra Records has released Duran Duran 'Girls on Film 1979 Demo' EP featuring Andy Wickett on vocals. These are rare debut recordings, which include the original version of the smash hit 'Girls on Film' and 'See Me Repeat Me', which would later be transformed into 'Rio', as well as other songs that the group shopped around to various labels before eventually signing with EMI. Recorded in 1979, these historic previously-unreleased demo recordings by ‘80s new wave icons Duran Duran feature the group’s early frontman Andy Wickett (a.k.a. Fane), alongside Nick Rhodes, John Taylor and Roger Taylor. They were recorded at Bob Lamb's studio (home of the band UB40) in Moseley, Birmingham. Join The Riot - Fantasies. Background - Swedish indie band Join The Riot are celebrating the new year with releasing their brand new five-track EP, “Echo”. The first single, ’Pretenders’, has already been rotating on Swedish radio P3 and picked up by Spotify playlists such as Indie Radar. 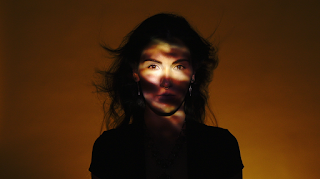 "Echo" EP will take you on a voyage deeper into the core soul of the band, immersing in various landscapes, from dreamy arena pop in “Fantasies” and “Bonsoir” to dark epic singer-songwriter ballads like ’Echo’ and ’X My Heart’.